Rapid eLearning Authoring Tools give you the ability to design amazing eLearning content quickly and cost-effectively. But how do you find the software that's a perfect fit for your corporate eLearning initiatives? In this article, I'll highlight the 10 criteria for selecting the ideal rapid eLearning authoring tool for your organization. If you're looking for a new rapid eLearning authoring tool, you've probably encountered one major hurdle: too many options! You simply don't have time to try them all before you make your final decision, and the clock is ticking as your deadline quickly approaches. Thankfully, there are 10 basic criteria that can help you choose the best rapid eLearning authoring tool for your corporate eLearning program. First and foremost, your eLearning team must be able to use the rapid eLearning authoring tool as quickly as possible. Steep learning curves require an investment of both time and resources, which generally defeats the purpose of purchasing a rapid eLearning authoring tool. As such, the rapid eLearning authoring tool must have an intuitive User Interface that's easy to navigate. For example, a drag and drop system whereby you can quickly move objects, add pages, and edit the finished product. Some rapid eLearning authoring tools offer 24/7 phone support and an extensive library of online tutorials, while others merely have a FAQ section on their site. Online support services are often one of the most overlooked features, but it also happens to be one of the most important. You don't have any issues with the rapid eLearning authoring tool now. However, you may run into some problems further down the line and require personal assistance. For this reason, you may want to consider a rapid eLearning authoring tool with integrated support services or support add-ons. It's true, you have to pay for the privilege, but it may help you get the most of your rapid eLearning authoring tool. Without a doubt, online asset libraries are a standout feature of rapid eLearning authoring tools. In most instances, rapid eLearning authoring platforms have cut-out eLearning characters, images, or eLearning templates to choose from. Certain eLearning platforms boast thousands of media assets, while others may only have a limited repository. As such, you must determine whether an online asset library is a top priority, or opt for a more basic rapid eLearning authoring tool and find the resources on your own. This is a top priority for organizations that wish to integrate their branding, as well as those who prefer to customize various aspects of their dashboard, such as the layout, feature panel, and color scheme. Certain rapid eLearning authoring tools give you the power to completely customize the eLearning platform, while others only offer out-of-the-box options. Responsive design rapid eLearning authoring tools allow you to develop and deploy mobile-friendly online training courses. You create a master version of the eLearning content that features different breakpoints. Then the system adjusts the layout based on the device. For example, images may be optimized or appear on a different section of the page on smartphone screens. Responsive design rapid eLearning authoring tools may also feature a built-in previewer which allows you to test different versions of your eLearning course design, and make adjustments to the layout if necessary. Online collaboration tools make it easy to work with remote eLearning teams. Every member of your eLearning team has the ability to upload eLearning content, share eLearning feedback, and revise the eLearning material. If the rapid eLearning authoring tool doesn't feature built-in online collaboration features, you may have to find third-party software or add-ons to improve functionality. For example, a Project Management online platform that allows you to assign tasks and track milestones. You may need to integrate existing eLearning content into your new rapid eLearning authoring tool. For example, repurpose your PowerPoint presentation in order to create updated eLearning materials. Can you easily upload images and other media into the rapid eLearning authoring tool? Or does it take some tech know-how to make your current eLearning content compatible with the eLearning platform? The rapid eLearning authoring tool should also be compatible with your current suite of eLearning software. Otherwise, you'll have to purchase replacements that mesh with your new rapid eLearning authoring tool. 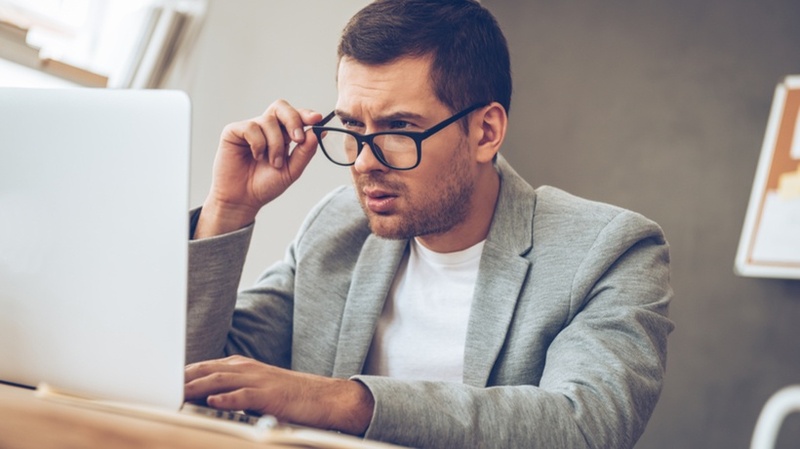 You've spent hours creating the ideal eLearning content for your coprorate eLearning program, only to discover that the rapid eLearning authoring tool doesn't support your desired format. This stressful situation can be avoided if you verify the delivery formats. Can it export your eLearning content to your LMS platform? Is it SCORM or Tin Can compliant? Does the rapid eLearning authoring tool allow you to upload learning materials to video sharing and social media sites directly? Do they host the online resources for you? This is usually a task reserved for Learning Management Systems. However, there are some rapid eLearning authoring tools that provide built-in LMS reports and analytics. Reporting capabilities give you the power to track employee engagement, performance, and participation. As a result, you can identify the overall effectiveness of your eLearning course design and areas for improvement. Last, but certainly not least, pricing is one of the most crucial criteria to consider. The rapid eLearning authoring tool has everything you need to create quality resources on a tight timeline. But can you fit it into your eLearning budget? More importantly, is it really worth the investment? Do the support services, asset library, and personalization features warrant the money? This is when free trials and demos come into play. They give you the power to test the rapid eLearning authoring tool before you make any commitments. As such, you can determine if the software is going to meet your needs and improve your eLearning ROI. Rapid eLearning authoring tools are only a wise investment if they live up to expectations. These are just a few of the top criteria to look for. However, every organization has their own goals and objectives. So meet with your eLearning team to iron out the details and identify the must-haves. This will allow you to determine which features you need to improve your eLearning ROI. Are you still wondering if a rapid eLearning authoring tool is really the best option? Read the article Rapid eLearning Authoring Tools: 5 Pros And 3 Cons To Consider to discover what to consider when using rapid eLearning authoring tools for your next eLearning project.